HMH Books for Young Readers, 9780544105072, 48pp. 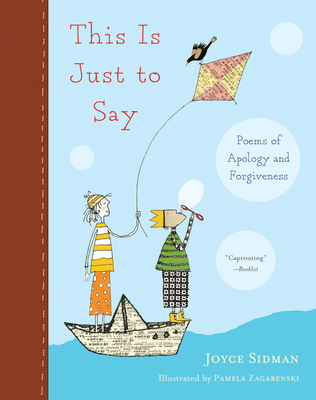 Packed with the intensity of everyday pain and sorrow, kids and adults exchange the words that convey grief, delight, love and acceptance of themselves and others. The poems successfully navigate the complicated terrain for those who seek forgiveness.